Local Jews targeted by white supremacist 'doxing' campaign after neo-Nazi leader's mother suffers business setbacks. 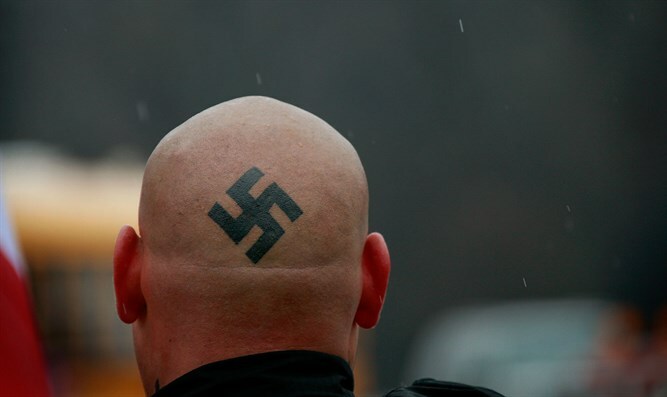 A neo-Nazi group is targeting Jewish residents of a small Montana town, publicizing their personal information and calling upon white supremacists to harass them – a form of cyber bullying colloquially known as “doxing”. The doxing campaign, led by the neo-Nazi website The Daily Stormer, is targeting Jewish residents of Whitefish, Montana, where the mother of white supremacist leader Richard Spencer has reportedly suffered business problems due to widespread reporting on a recent gathering of white nationalists in Washington D.C. headed by her son. Spencer’s mother, Sherry, told ABC Fox Montana that her business in Whitefish had fallen on hard times since the D.C. event, and that she had no choice but to sell the building. That revelation did not sit well with Daily Stormer editor Andrew Anglin, who responded with a vitriolic condemnation of Jews and a call to action. While Sherry Spencer gave no indication Jews were behind her business’ recent troubles, Anglin cited criticism by the US Holocaust Memorial Museum in the capital Richard Spencer’s speech at the D.C. event. During the gathering last month, Spencer shouted “Hail Trump, hail our people, hail victory,” as attendees raised their arms in a Nazi salute. In revenge for Sherry’s financial losses, Anglin has set his sights on local Jews he holds responsible for pecuniary woes, including a local real estate agent and members of the local human rights group, Love Lives Here, who condemned Spencer’s organization, the National Policy Institute. Anglin publicized the images, addresses, phone numbers, and social media accounts of his targets. Even family members of those targeted were not spared, with information and images of spouses and even children listed. The article calls upon Daily Stormer supporters to “Hit ‘Em Up” and to convey their hatred of the “Jewish agenda”.